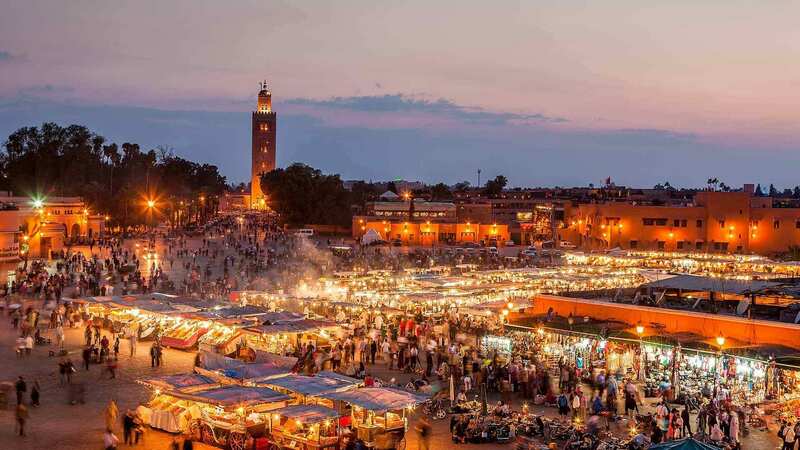 This trip offers a great introduction to Morocco: you will experience vibrant Marrakech, visit small Berber villages in the Atlas Mountains and have time to make Camel Trek. Imagine the twisting alleyways of an ancient medina, a crowded souk full of colourful pottery and carpets or the sound of a muezzin calling to prayer drifting across an orange plantation. Morocco offers all this and more - complete with a stunning backdrop of the snow-capped Atlas Mountains. Depart at 08.00 am from Marrakesh to Dades Gorges via the mountain pass of Tizi n'Tichka (2260m), through the High Atlas Mountains. We will have time to stop and enjoy the sceneries. We will also have an opportunity to visit the UNESCO heritage site of Ait Benhaddou Kasbah. We will pass through Ouarzazate; sometimes called Hollywood of Africa, since it has been a famous destination for filmmakers. After Ouarzazate we will continue to Dades valley where we will spend the night in a hotel. After breakfast, we will start driving from Dades Gorges to the Erg Chebbi sand dunes in Merzouga. We will pass through Tinjdad, Jorf and Erfoud, and then continue to Merzouga, where we will start our camel ride. Upon the arrival at the nomadic camp the dinner will be served. Night in Berber tents. Around 05.00 am, you will wake up to enjoy the sunrise over the dunes, possibly the best moment of Merzouga desert, followed by a typical breakfast in the bivouac of Merzouga, then you will ride back the camels to meet you driver and travel from Merzouga dunes to Fes via the beautiful Ziz valley, Errachidia and Midelt. Lunch will be on the way and a short break to watch the monkeys in the cedar forests of the Middle Atlas close to Azrou City at “Gourrou Forests”. You will continue to Fes, where your tour from Marrakech to Fes ends.